Gibraltar is located in the Southern end of the Iberian Peninsula and along the opening of the Mediterranean Sea. It is also bordered to the North by Andalucia, Spain. 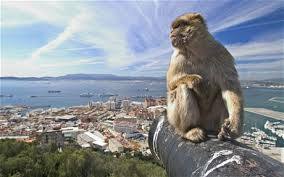 Although located between the southern tip of Spain and Africa, Gibraltar is an overseas British territory. This highly coveted piece of land spans 1,200 years of Moorish, Spanish and British History. In 1704, it was captured by the Spaniards during the War of Spanish Succession. In 1713, Spain ceded the territory to the British under the Treaty of Utrecht. Later attempts to recapture the territory through various military sieges by Spain proved to be unsuccessful. Today, Gibraltar governs its own affairs although foreign relations and defence are shouldered by the UK government. 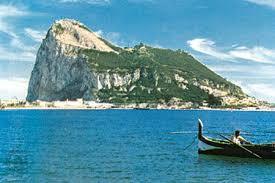 One of its most popular landmarks is the Rock of Gibraltar. The upper part of the rock is a nature reserve and a labyrinth network of tunnels which serves as a home to hundreds of Barbary Macaques. The Upper Rock nature reserve provides a haven of exploration for nature lovers. A serious concentration of flora and fauna is found in this reserve which is the reason why numerous botanists flock to this territory to do their studies. Several species of birds can also be witnessed within the reserve. Aside from all that, you may also enjoy seeing the famous semi apes. The Barbary Macaques are the only ones in the whole of Europe and unlike its specie in North Africa, the Macaques are thriving in Gibraltar. One interesting fact about these animals is that they are tailless so you might want to observe this on your next visit to the upper rock reserve in Gibraltar. Other points of interest in the nature reserve are several caves and tunnels that are also well worth exploring. You can take scenic walks along the main town of Gibraltar. Walking through its narrow passages and steps, you will soon realize that the city is enclosed by fortress walls. Don’t forget to look at the Moorish Castle complex, Gibraltar museum as well as the many important building and churches within the area. The sea surrounding Gibraltar is ideal for sailing and fishing. Large numbers of ship wrecks around the area also provide a great diving site. Dolphin watching is another activity you can do around the bay of Gibraltar. It boasts some of the highest concentrations of dolphins in the Mediterranean.